With winter fast approaching, I took the time today to think about what books I want to read this winter season. I at least want to get through ten books throughout December, January, and February. I will have some free time at the beginning of December, but the rest of the month I will be completely busy. But for months of January and February I will have more free time with the holiday season being over with. Here are the top ten books that I want to read throughout these upcoming months. The first group of books that I want to get through is the rest of my Pretty Little Liars series. Since Vicious by Sara Shepard will be released on December 2nd, this means that I need to get caught up with this series. I plan for the month of December to read Crushed, Deadly, Toxic, Vicious, and Ali’s Pretty Little Lies. 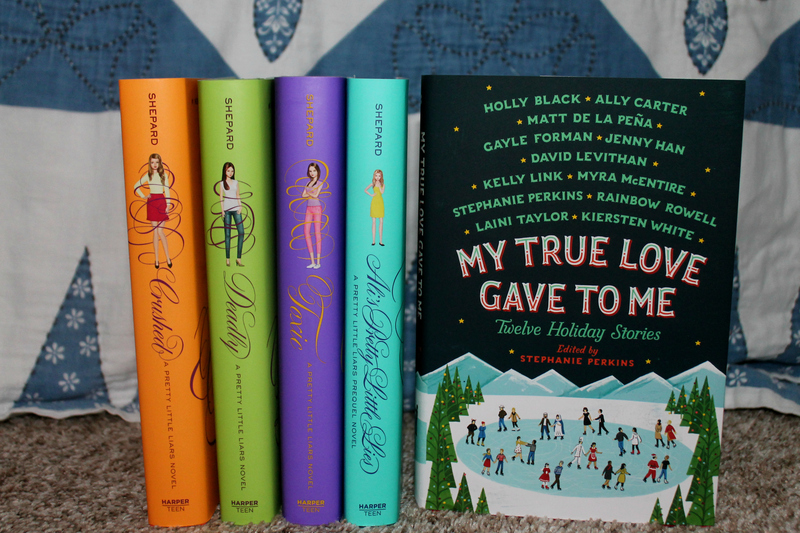 Not only do I want to read those novels, but also My True Love Gave to Me: Twelve Holiday Stories by: Editor Stephanie Perkins, along with Holly Black, Ally Carter, Gayle Forman, Jenny Han, David Levithan, Kelly Link, Myra McEntire, Matt de la Pena, Rainbow Rowell, Laini Taylor, and Kiersten White. For month of January I would like to start off the New Year by being adventurous and read from a genre that I normally don’t read from. I want to dip my interests into fantasy and the book I have chosen to read is Throne of Glass by Sarah J. Maas and towards the end of the month To All the Boys I’ve Loved Before by Jenny Han. For February I plan to read more contemporary and romance which is based on the month’s theme of love. This month I’d love to read Landline by Rainbow Rowell and Just One Day and Just One Year by Gayle Forman. These are just a few short goals I’d like to challenge myself with the upcoming months. 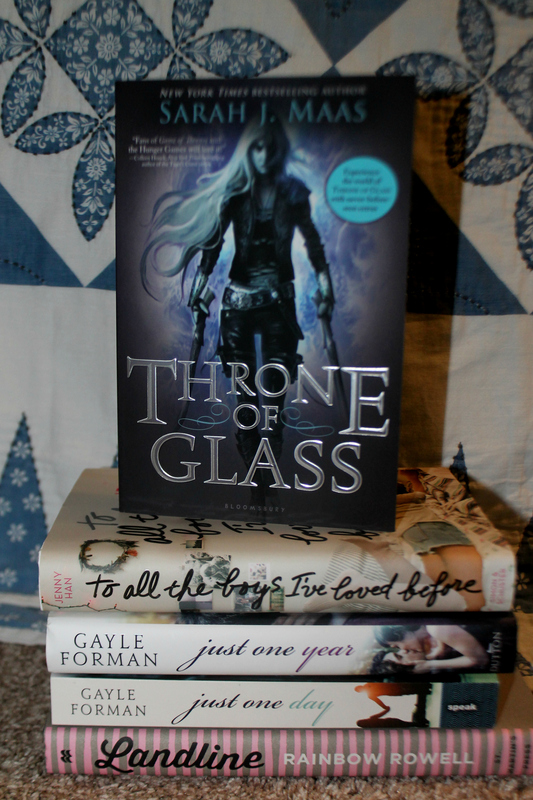 It all depends on my reading mood and taste, but these are just some of the books I’d like to get to!